Despite all the fanfare of Christmas TV advertising, retailers are often failing to reach those people just coping with the festive season. Rachel Emms argues why retailers should alter their tone to increase their footfall. It feels like barely a day goes by without news of another high street business floundering. As the festive season approaches, hopes are being pinned on a strong Christmas to reverse the fortunes of our once-loved bricks and mortar retailers. No conversation about retailers at Christmas would be complete without mentioning their seasonal advertising, our very own ‘Superbowl moment’. Presumably the millions of pounds that were spent on Wes Anderson, animated carrots and Paddington Bear last year helped to drive the masses into stores up and down the land, their credit cards at the ready? Much of the talk so far has been of celebrity A-listers such as Elton John and Take That joining the fray this year, surely our high streets should be expecting a bumper year. But do expensive, famous Christmas ad campaigns really make a difference to the bottom line in terms of sales generated? Last year’s Christmas trading figures were particularly poor. According to figures from Business Insider, Marks & Spencer’s quarterly UK sales were down by 1.4%, Debenhams by 1.8% and House of Fraser by 2.9% in its shops ( 7.5% down in online sales). All three brands invested heavily in Christmas campaigns. The most famous of them all, John Lewis, did report a sales increase of 2.5% at Christmas, but chairman Sir Charlie Mayfield credited this to its competitive pricing strategy, and not its monster under the bed ad. If the high street needs life support this Christmas, using the same tired old marketing tactics as previous years, and expecting a different result, isn’t going to deliver. So, what’s the answer? We analysed the language of Christmas retail advertising in 2016 and 2017, and the results show advertisers are missing a trick. Our research, with 250 ABC1 UK mums, identified two types of Christmas shoppers with different motivations: 23% of the sample were defined as Edgers (‘I want to achieve the best Christmas possible’), and 77% were defined as Copers (‘I just want to get through to Christmas day’). Almost all retailers’ Christmas campaigns talk to the smaller cohort of Edgers. We were more interested in the Coping majority. Of this larger group, 46% of them are active, dealing with Christmas shopping head on, and 54% are reactive, rejecting forward-planning and getting by on impulse. Unsurprisingly, no one is talking to this final group. We built a Christmas shopping website, the language of which was tailored to pattern-match the psychology of these Reactive Copers and we AB-tested it against an identical website with more traditional language. The results? The alternative approach generated 260% more site visits and was 17% more effective at converting visits to sign ups. This equated to an overall increase in effectiveness of 327% versus the traditional site when optimised for the same impressions. It remains to be seen whether Elton or Take That will be doing anything different for their high-profile Christmas campaigns in 2018 but by targeting a different shopper mindset and adopting a fresh approach to messaging, retailers could reach an extra 18% of the market, cut through the noise, drive increased engagement and deliver a better return on investment. 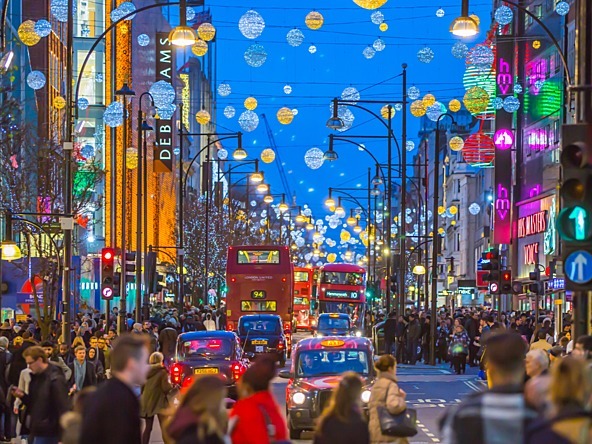 By listening to the consumers and targeting the appropriate audiences, retailers could see increased footfall this December. It may not save the high street, but it certainly will help the bottom line for an early Christmas present.